This mid-size life insurance carrier had low persistency sand customer contactability scores compared to industry standards. 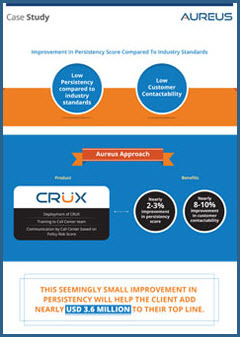 Fill out the form to see how CRUX helped this carrier improve their scores in these areas. Customer experience analytics for EPIC Customer Experience.